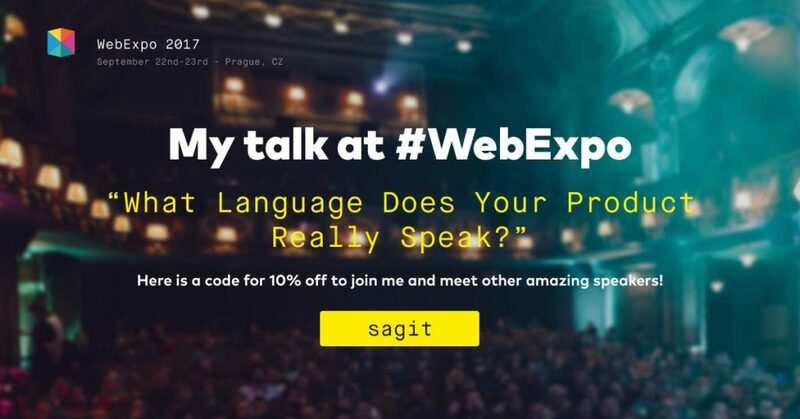 Sagit Siegal will be one of the speakers at WebExpo 2017. Her talk is titled What Language Does Your Product Really Speak? and will be about the impact on performance when the user interface is not in the user’s native language. I used this opportunity and asked her a few questions about this topic. Radek: Sagit, you have been practicing UX for over 18 years and now you are the Platform UX Team Leader at Thomson Reuters. You work with teams across the globe and takes them through the whole UX process – from research to mock-ups through testing to final beautiful designed products. It is also said that you manage to combine GUI and web design skill with a humane approach that ensures a sleek look & feel as well as high usability to websites, applications or media. Is there anything else what readers of my blog should know about you? Sagit: On top of my formal education I am also an animator. I learned it in art school when hand drawn animation was still the preferred technology. Till this day I am passionate about art and animation. I also use illustration as a way of clearing my thoughts. If I really need to think something through – I sketch it or illustrate it. Radek: Reading the abstract of your talk, you also do some research. What is the result of your research that surprised you the most? Sagit: I would not call it research – as I am not a scientist – I am a UX professional. My team’s conclusions are based on observations we do in usability tests. We have almost 200 of these in the last two years. The biggest conclusion we came to is that some things cannot be simply explained just by looking at a table or graph of results. There are issues that are derived from mental models and cultural backgrounds that lay beyond the simple test results. If a UX expert does not consider this – they may miss out on the right way to fix an issue. For example – users may not understand a term in a website just because it is slang or culturally related to the creator’s own country. In test results, we will see that users failed to use this feature, but we will not know WHY. For this, we need to know how to ask the right questions. This means we need to be aware of the cultural and linguistic background and keep that in mind. It is not always easy since we tend to blame the “usual suspects” like UX, design or layout and ignore other aspects. Radek: Imagine that the user interface of my website is in English only and I have many users/customers for whom English is not the mother tongue. How can I provide them the best user experience? Isn’t it better to provide the Czech version for them? Sagit: The simple answer is yes. 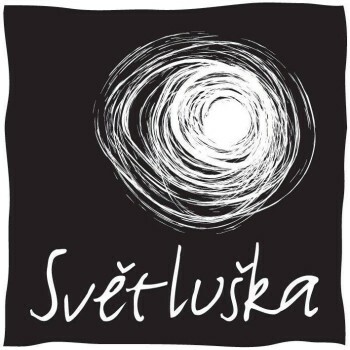 If you can provide a local version (Czech for example) that is the best thing to do. And when doing so – it is best to have an expert in the field translate it for you (and not just leave it to Google Translate). But a lot of sites do not have the funding for this or have a very diverse audience coming from different countries. In that case in Thomson Reuters we use what we call User Friendly English. This is the English that is learned in schools all over the world – no slang or cultural related terms, with a minimum of abbreviations and acronyms. And of course – always test the language on real users. You will be surprised at what you will observe. Radek: My professional background is web accessibility and inclusive design. The topic of your talk reminds me many deaf users who face this situation every day since their native language is the sign language. Is your research somehow focused also on this target group? Or do you have any recommendation how to improve accessibility and user experience of that target group? Sagit: I am afraid we still did not get to that topic. My best recommendation is aiming at interfaces with minimum copy. The less users need to read and the more intuitive the UX – the better. That is hard to achieve and demands a lot of testing – but is doable. Radek: Another target group, than might be affected by incomprehensibility of the user interface, is the group of the blind users (surfing the web with the screen reader is totally different experience). Do you have any tips relevant in particular for that target group? Sagit: Always aim to have your code clean and clear so screen readers will be able to read it. When creating forms add inline or hint text in the mandatory fields to help screen readers detect them. Make sure the order of items in the form is organized in a way that is readable to screen readers – and that includes form validation in case of errors. As a side note – my team maintains a small list of employees inside our R&D center who are color blind. Some have problems identifying red/orange, others have problems with blue hues. That way we also guerilla test our colors with them. They love that – it’s a nice distraction from their everyday work. Radek: And the last question – have you ever been to Prague? Are you looking forward to anything in particular? And of course – can’t wait to attend WebExpo – it looks like there are some fantastic talks there. Can’t wait to hear them. Thank you very much for the interview and I am looking forward to your talk at WebExpo 2017! For those who would like to join Sagit and other amazing speakers there is a code “sagit” for 10 % off. Buy the ticket & enjoy the conference 🙂.